You always hear people groan as they wish for more than 24 hours in a day. That s the reality a lot of us must face when it comes to time management. We can only manage the time we have available. A lot of things we want to get done are going to be left incomplete when the day runs out. The following day always brings its own set of tasks, so what was on our agenda yesterday will be put on the backburner. Fit as much as you can within a 24-hour period without damaging your mental well-being. Get the most important things done on your schedule and realize what s left wasn t important at all. Nobody can blaze through a series of monotonous tasks without having other things to do that aren t so taxing on their minds. Some of us are a little too occupied with these tasks, leaving what we should have been doing undone. These tasks should remain, but they must be moderated to the point where they occur infrequently and don t take up much time. When you re dieting, the biggest thing that undermines your success is snacking. Consider surfing the net and reading personal emails as snacking during the work day. While snacking expands your waistline, wasting your time depletes the amount of work you get done. 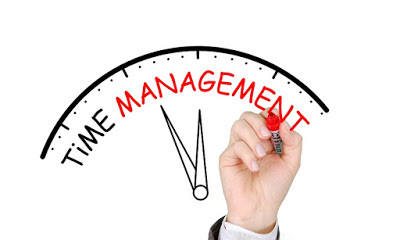 We all have goals for becoming better at managing our time. Set these goals to ensure the critical items on your schedule get done. For instance, let your family members know you can only take phone calls at certain times, so you re not wasting valuable time making small talk when you should be working on a presentation. Stop yourself from surfing the net. Consider letting your IT department know which sites you waste the most time on, so they can block them and you can get back to work. That might seem like a drastic measure, but you would be surprise what some people need to improve. Whether we want to admit it or not, watching a video of a cat that sounds like it s talking like a human shouldn t be on our list of priorities, let alone near the top. All of us have priorities in our regular lives and at the workplace. Determining what your priorities are in the workplace is the best way to determine what you need to focus on. You can deviate from this list every so often, but it s not recommended. Stick to it the best you can and watch your productivity skyrocket. If you stray away from it, don t be surprised if you will end up scoping out your spot in the unemployment line. If you have someone nearby who can take a few tasks off your plate, call on them. That s what they were hired to do. Letting them handle even a little bit of your workload would help you focus on more important things. Feeling like you re swamped is the best way to become less productive. The more stressed a person is, the less they get done. Some people can thrive under pressure, but not many. We all crumble a little when the pressure is on, but we must find solace in the fact we don t have to do it by ourselves.